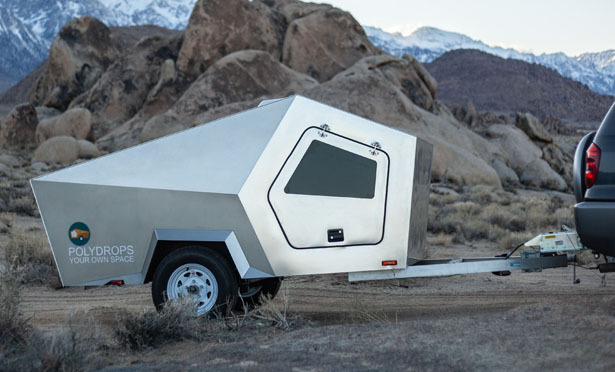 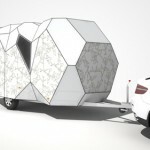 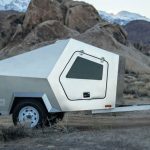 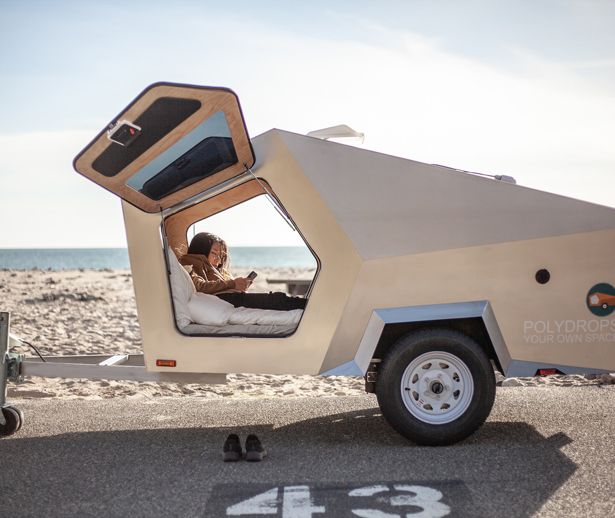 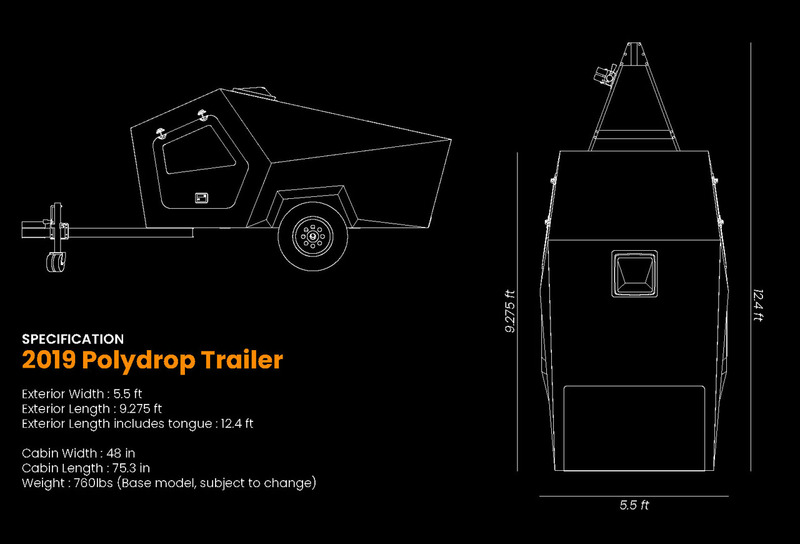 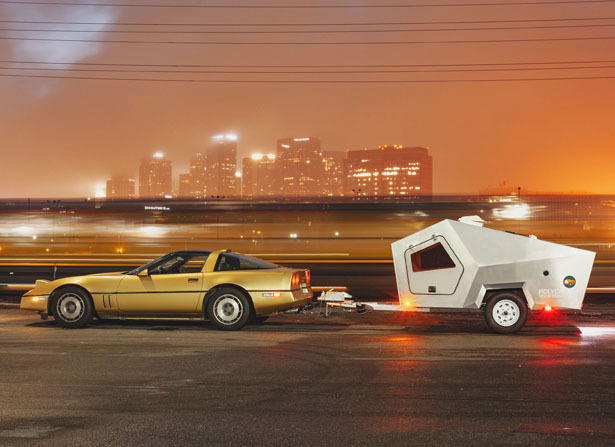 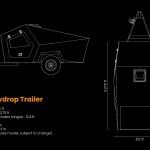 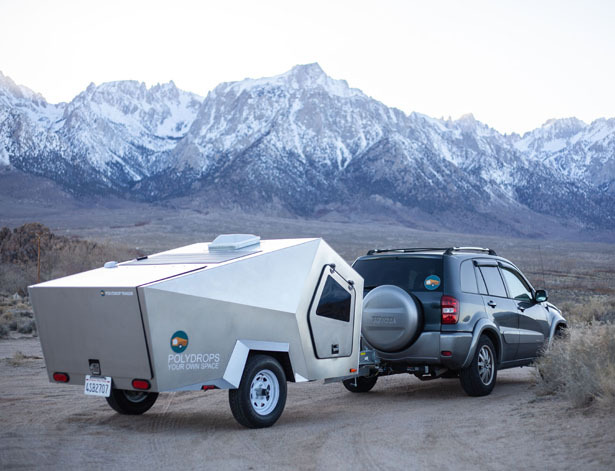 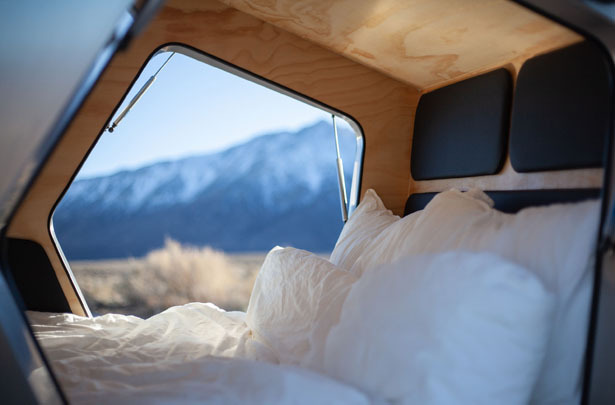 Polydrop Trailer was born out of Kyung-Hyun Lew’s desire to design his own space, therefore, he made a decision to sell his car and built a portable space. 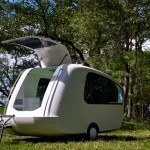 Polydrop is a small wooden, polygonized teardrop-shaped colored cabin on a utility trailer. 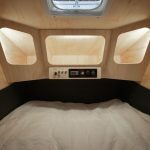 Weighing at just 680lbs, this cabin is very light to travel, the first prototype is already perfect for a free working space. 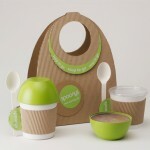 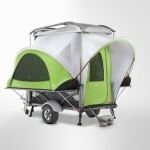 It’s like having your own space that you can carry everywhere, there’s no limit to its usage. 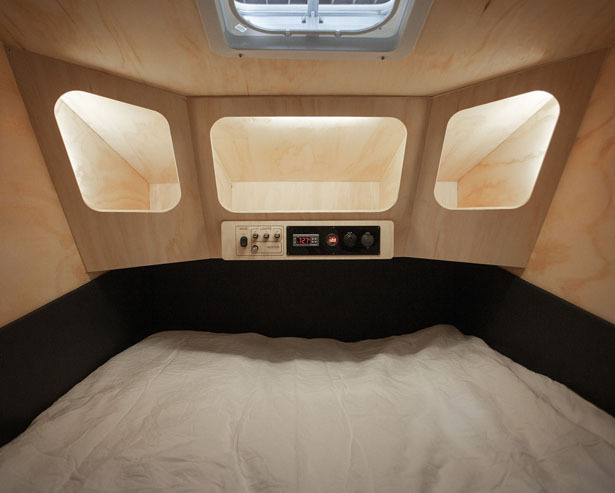 It can be a private room, travel mate, or a micro office. 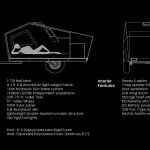 Polydrop Trailer by Kyun-Hyun Lew features independent suspension with hydraulic brake system that guarantees a smooth towing experience. 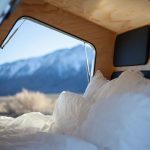 It features double-layered structure, which makes it lighter and stronger, it has more insulation between structure to keep you comfortable wherever you are. 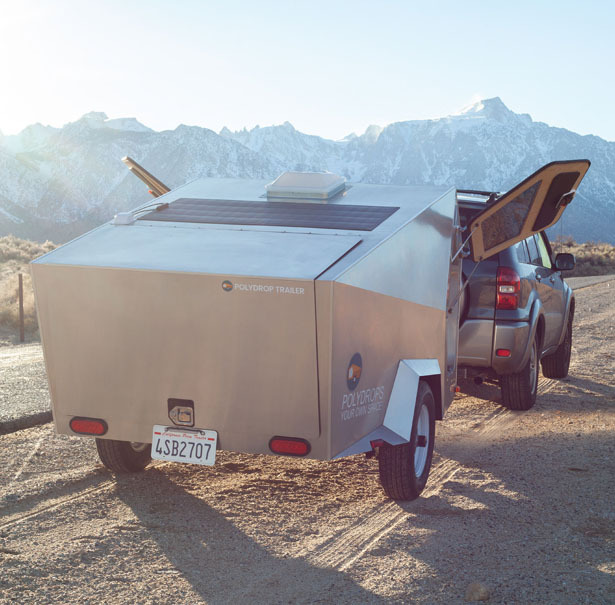 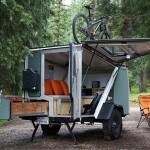 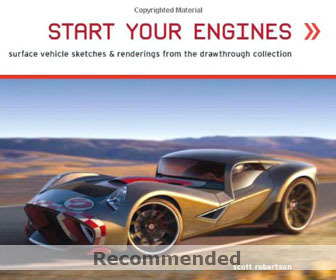 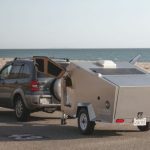 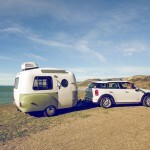 Designed with gull-wing doors on both sides, this trailer provides stylish doors that also support great ventilation. 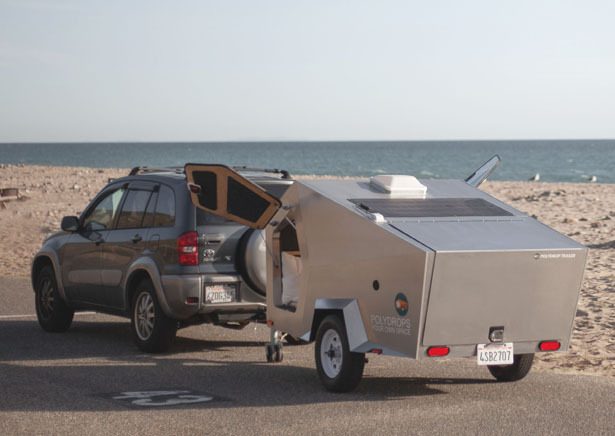 The 100w solar charging system is enough to power this trailer for heater, 12v outlet, and USB outlets. 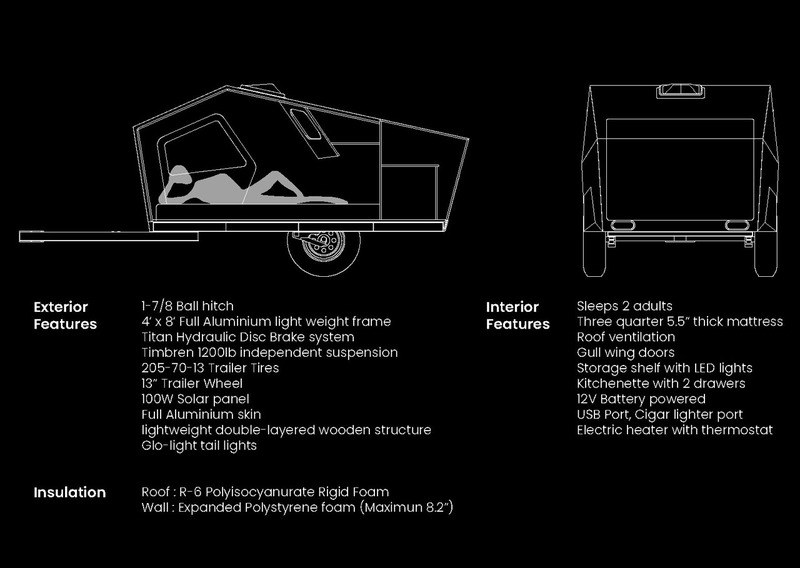 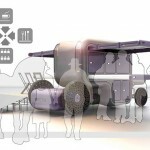 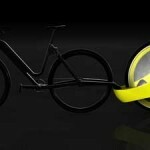 Tagged as lightweight towable trailer, polygon shaped trailer, teardrop shaped towable cabin. 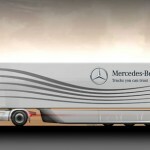 I'm guessing this didn't spend much time in a wind tunnel.